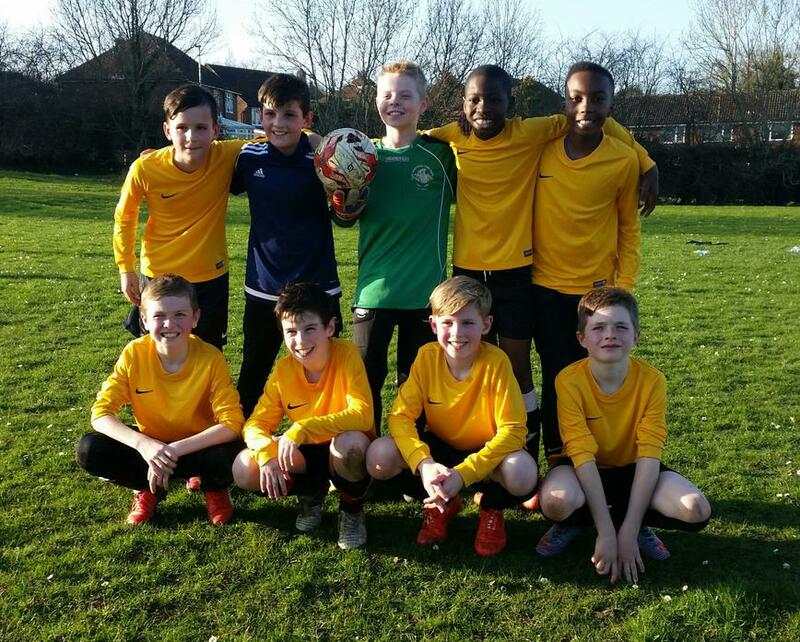 Having won our part of the Dacorum football league - played seven, won seven - it was quarter-final time. We were drawn against St Paul's who had the same record in their league - played seven, won seven. We knew it was going to be tough match, but we were more than up for it. After a bit of a cagey opening, we took the lead thanks to a long-range shot from Riley which was parried by the 'keeper but drifted in at the far post. We went into the break with a slender advantage, knowing that we had done well, but could do even better in the second half. And better we did. We we stronger into challenges and won some tremendous headers. Our pressure paid off and we doubled our lead with a goal from Thomas, toe-poking the ball past the on-rushing 'keeper. St Paul's rallied and had chances of their own. Their striker, on a one-on-one, smashed the ball against our upright. Our efforts deserved that stroke of luck. With five minutes to go, victory was assured when Thomas was fouled in the area and Aaron stepped up to blast home the resulting penalty. This was another fantastic performance by all of the boys, and should give them a great deal of heart going into our semi-final.